eBooks have opened up a wider audience for authors and publishers. Today authors and publishers can easily upload and convert their manuscript into digital format, avoiding the hassles involved in traditional publishing and distribution methods. The rise of the internet age has democratized information and has provided us with free access. This ease of access has given rise to online piracy. eBook piracy, which includes unauthorized circulation or duplication. It is a problem impacting publishers and authors, who are constantly looking for ways to protect eBooks. The unauthorized distribution of eBooks significantly affects the revenues, for the publisher as well as the author. Lost book sales and copyright infringement of the author’s work leads to huge loss of revenue. According to 2017 data, eBook piracy costs U.S. publishers $315 million each year in lost sales. Hence, it’s necessary for publishers to have protected eBooks to prevent illegal circulation and duplication. According to the Intellectual Property Office’s study of online copyright infringement, 17% of eBooks read online are pirated, amounting to around 4 million books. DRM ensures that the digital documents, eBooks, and web-based content is protected against data leakage, theft, and misuse. It’s a data encryption method which prevents anyone from accessing content without a proper access key. DRM ensures that only authorized users have access to your eBook. 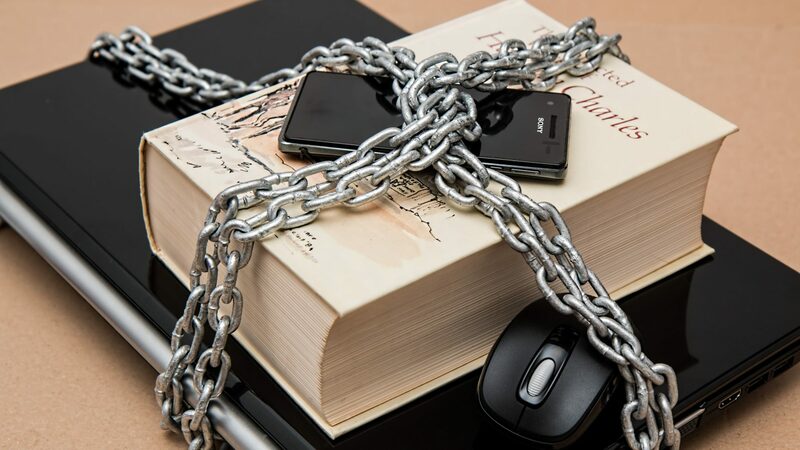 You can embed your content with the DRM protection software ensuring protection of your eBooks against unauthorized use and misuse. This is a visible or invisible watermark which is embedded into the eBook code at the time of the transaction. It includes the buyer’s personal details such as name, email address and sometimes the publisher or author details. This technique helps prevent widespread circulation of your content because the original buyer’s details are embedded into the eBook, and he/she wouldn’t risk being caught distributing your content. In case of an infringement, publishers can easily track the individual and file a lawsuit against them. Secure your pdf file before making them public by restricting editing, screen reading and copying to clipboard options. There are various software tools available which allow you to restrict users from editing and printing your document. Thus, you can prevent sharing and unauthorized changes from being made to your content. When someone purchases a copy of your eBook, email them the password. This way you can be assured that genuine users have access to your eBooks. Only those who buy your copies can have the access codes to open the eBook. Although this won’t stop these buyers from sharing their password with their family and friends, it could prevent unauthorized downloads. Register for copyright protection. This would help in proving that you are the creator and the rightful owner of your work. Create a legal notice stating that all rights are reserved by you and get it verified from a lawyer so that if anyone tries to copy or resell your content, you can easily sue them. Google can help monitor the illegal copying of your eBook. Select any random statement from your eBook and create a google alert, so that if that particular statement is pasted anywhere on the internet, you can be instantly notified of it. This is a good way to keep track of all the instances of your content or similar content which appears on the web. And if you ever find out that your work is being circulated without your consent, find out what you must do in the next point. File DMCA (Digital Millennium Copyright Act) notice and shut down their website; irrespective of the country in which the infringement took place. DMCA contacts the company, web host or domain provider and notifies them of the copyright infringement. They would then get the website to remove the content. If they fail to comply, then the content will be forcibly taken down or the website could be shut down. It’s ironical that today when authors and publishers wish to increase their audience base and want people to read their books, they also have to think of multiple ways to protect it from the same audience. Publishing your content on the internet comes with its own set of pros and cons. While it gives you the satisfaction of reaching out to many people, it might also bring forth an unpleasant surprise in the form of piracy. All you can do is ensure that you have done your bit to secure your work, online.